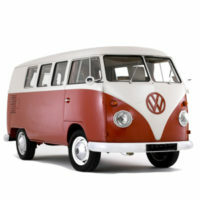 Leisure Batteries are used in many applications such as Caravans, Motorhomes, Boats, Solar Equipment, Camper Vans and many more. A leisure battery is basically a rechargeable, portable power source. Click on the Tab below for more information on leisure batteries. What size Leisure Battery do i need? In the section below simply choose a category thats relevant to your battery search. Its really simple purchasing a leisure battery, you just need to check the dimensions before ordering. Your Leisure Battery gives you portable power. 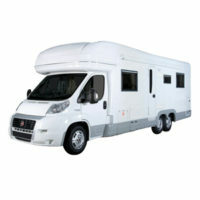 Leisure Batteries are used on Caravans, Motorhomes, Camper Vans, Boat & Marine and more. 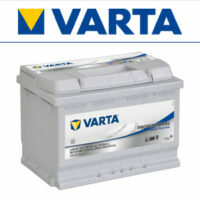 We specialise in batteries and supply all types and brands. 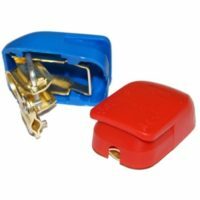 Most accessories can be powered from your 12 volt battery. Which Leisure Battery Should I Choose? In this section we have tried to simplify things for our customers to help you choose the right Leisure Battery for your application. 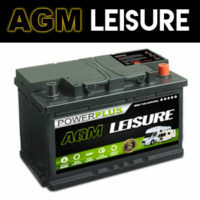 We supply 3 different grades of Leisure Batteries, Wet Flooded Lead Acid (the most common and cheapest), AGM Leisure Batteries and GEL Batteries. The pro's & Con's are described below. The physical size is crucial when choosing a battery. The bigger the battery, the more ampere hours (capacity). 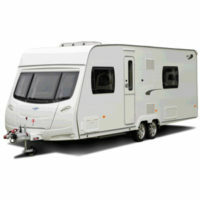 Most Caravan's use either an 85ah or 110ah Leisure Battery. People are using more & more electrical items these days so bigger capacity batteries like 120ah or AGM Batteries are becoming popular. 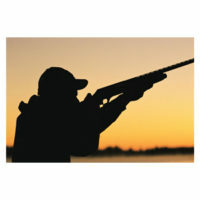 The Pros - These are the most common and popular type of leisure battery, sealed or unsealed. 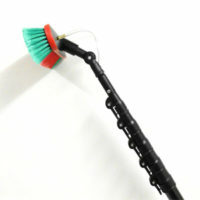 They are reasonably priced and can be used on most applications. The Cons - You should really only drain these batteries down to 40% of their capacity, so for example, if you had a 110ah battery, your only using 60% of its capacity. They also drain quickly and take longer to recharge. The Pros - AGM batteries have come down a lot in price over the last few years. 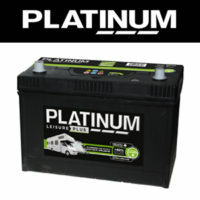 They are becoming more & more popular for use on Camper Vans & Motorhomes which is understandable as AGM batteries are sealed, non spill-able and emit minimal gases. They drain at a slower rate, so will last longer between recharges. 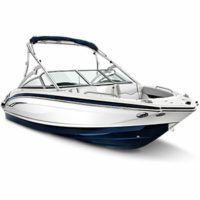 You can also use 80% of its capacity and they will charge almost 3 times faster than a standard flooded type battery. 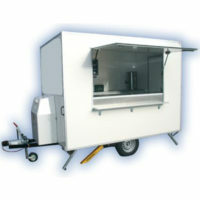 AGM batteries have high cranking ability, so can power Caravan Movers and Outboard Motors. AGM batteries can also perform more cycles. The Cons - There isn't really any cons regarding these battery types. 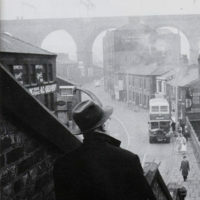 They used to be expensive and were limited in size variations. Now, there are many different sizes to choose from. The Pros - Gel Leisure Batteries are pure deep cyclic. These can be drained almost completely flat and still recover. Suitable for deep discharge applications such as catering equipment, security cameras etc. 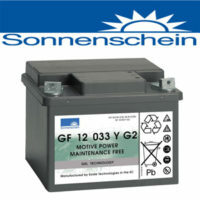 The Cons - Sadly Gel batteries are very expensive, we only supply the best product brand of Gel which is Sonnenschein. The leisure Gel range we supply are not really suitable for starting applications but you can buy Gel batteries products with starting use. 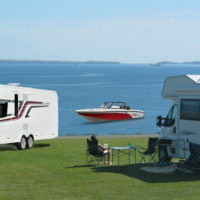 Unless you are connected to the mains electricity, your 12V equipment in your caravan or motorhome will require a leisure battery. 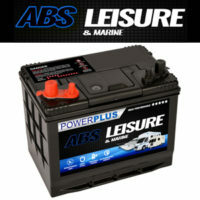 Leisure batteries differs from the standard car battery technology, it is built to handle the patterns and loads that are common in caravans, narrowboats, and motorhomes. A normal or standard starter battery is made to produce a high current to turn over an engine, typically over 1200 rpm down to a temperature of -25°C or -30°C. This is required to overcome the thermal and mechanical resistance of the engine, also, depending on the engine design and standing temperature, requires a cranking current of up to 1000A. 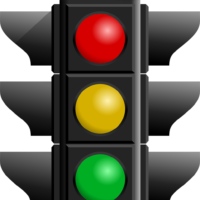 The alternator quickly replaces lost battery capacity while the engine is running. A standard lead acid starter battery is designed for standard non start-stop vehicles/cars and are mostly based on the calcium grid technology (low water loss). The design of these batteries focuses more on start-ability than the durability, where the plate count and the plate surface area are optimised to give high cranking capabilities, rather than the cyclic durability. 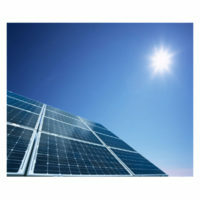 Low cost, poor quality batteries in this market usually last less than 3 cycles at 100% DOD (Depth of Discharge), that is to say, fully discharged cycles, and normally less than about 20 cycles when compared to the leisure market requirement of about 50% DOD. 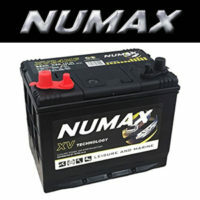 Mainstream car batteries usually last 25-35 cycles at 100% DOD and more than 65 cycles at 50% DOD. Because of this, standard lead acid starter batteries are not really suitable for the higher cyclic demands that are common to the leisure battery market. A leisure battery has to provide a steady flow of current over a long period and only gets recharged when the user realises that its Voltage level has fallen substantially. At this point, a recharge must be applied. 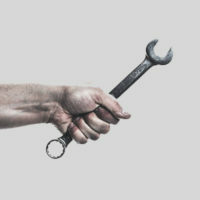 When left for a long period in a discharged state, or left connected to appliances which forces the battery into an over discharged state, the battery will more than likely, not regain its former state/condition. This condition can lead to the formation of a short which may render the battery scrap. Conventional lead acid leisure batteries meet the demands of basic level to mid-range applications. Depending on the application, a durability range of 65 to 350 cycles @ 50% DOD is quite common. Investment and developments in micro hybrid automotive technology, which bears similar requirements to the leisure market, has resulted in improved conventional leisure battery durability. (EFB) Enhanced Flooded Battery is an addition to the battery market, introduced to aid car manufacturers in meeting emissions requirements in the start-stop cars. Car manufacturer standards require that the batteries last more than 190 cycles at 50% DOD which correlates to 48-58 cycles at 100% DOD. This makes the EFB battery suitable for mid-range leisure uses where some degree of cyclic durability is needed. The car manufacturing industry has seen an increased number of sales of high-end start-stop cars that use Absorbed Glass Mat (AGM) technology and this has increased benefits of scale and prices for leisure market uses. 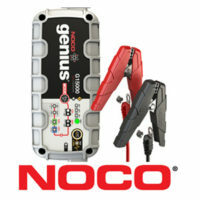 Previously, this technology was confined to the industrial and high performance motorcycle battery market. Good quality AGM automotive batteries are also suited to heavier duty cyclic applications, such as frequently operated caravan movers. This method offers another step in endurance, allowing car manufacturers with high emissions to switch off the alternator for longer periods, thereby deeper discharging the batteries and also using the battery power to assist acceleration. The batteries are better engineered to operate in lower states of charge, which reduces the effect of corrosion to the grids which is more prevalent in conventional batteries operating in low states of charge. Normal manufacturer standards require the battery to get more than 348 cycles at 48% DOD, which translates to 99-118 cycles at 100% DOD. In the main, AGM batteries are made with a glass, highly compressed, advanced mat, instead of the usual poly-ethylene separatation. This is put between the plates during the making of battery cell packs. 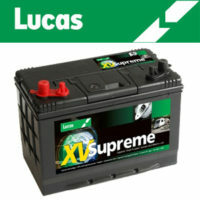 Higher compression improves the life and gas efficiency, making the battery maintenance free, unlike standard batteries. If a battery, in spite of a properly functioning and connected charger does not charge, the battery may have fallen victim to sulphation. 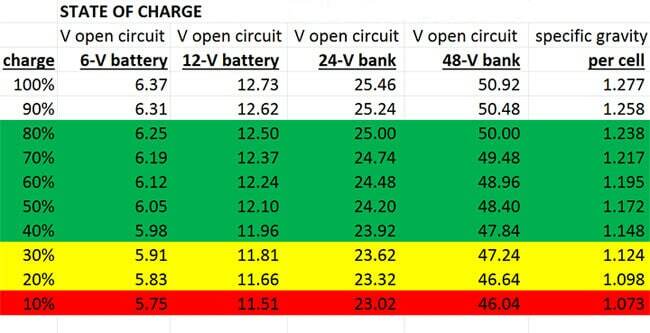 Sulphatation results from two factors: state of charge and the amount of time the battery discharged. Sulphatation not only hampers the charging process, but it can also form large crystals which bridge between two plates and cause a short circuit. In the event of such a short circuit the battery voltage will rapidly increase when connected to a charger. 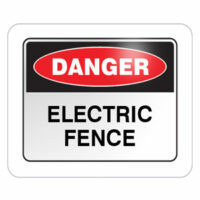 The charger will see this as an indication that the battery is fully charged and cut off, leaving the battery empty. Sulphation always comes with a permanent loss of capacity. Mild sulphation in a flooded battery can sometimes be mended using a suitable charger, but doing so is time-consuming and full recovery may not be expected. Most Smart Chargers will only register if there is enough voltage in the battery. If the battery has been discharged lower than it should, many chargers will struggle to bring a battery back up from such a low state of charge. This is why its important to maintain the charge in your leisure battery, especially in those winter months. If your leisure battery has been totally drained and your charger is not powerful enough to recharge it, you would need to use a higher ah rated charging system. Chargers tend to range from 6ah, 8ah, 10ah, 12ah and will charge most standard leisure batteries up to 140ah. You can monitor the voltage of your Leisure battery with a simple electronic volt meter. A 12 volt battery has 6 cells inside and each cell is 2.10 volts, so when fully charged it will read 12.60 volts or slightly over. 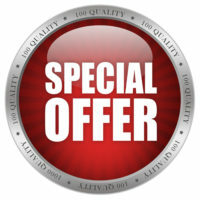 With over 50 years in business our warranties mean something. Many years supplying batteries for Leisure equipment. 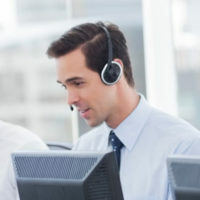 When you call for help, our sales team know what they are talking about and will help you make the right choice.